My house was built in 1935 and contains invisible or concealed radiators in all rooms. Several of the radiators do not heat. 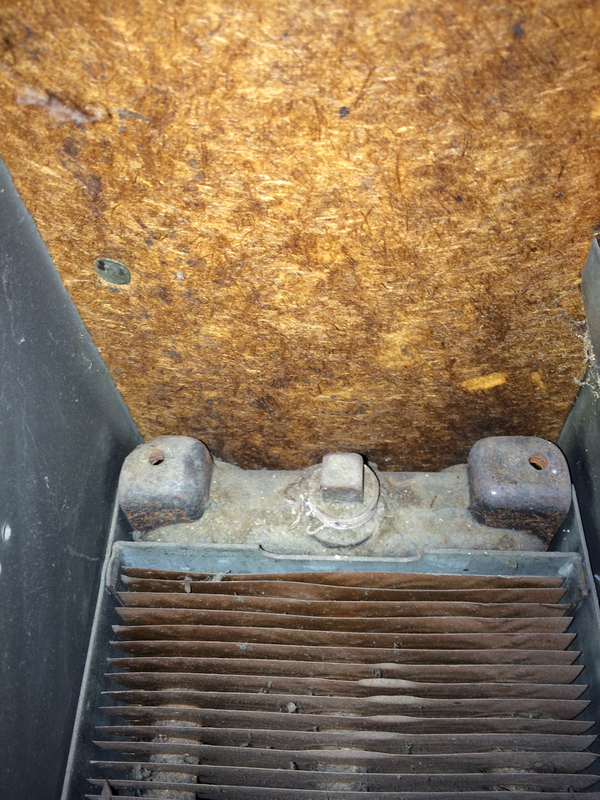 Is it possible to repair this type of radiator (I believe I have Trane Invisible Radiators - based on the literature posted on this website) without taking out the wall? All contractors that have looked at these radiators believe the only way to "repair" them is to take apart the wall and "have a look around"
Does anyone have experience with this type of radiator? What is wrong with the radiator that the contractors think they need to rip open a wall to look around? The radiator allows water to flow through it to emit heat. Basically a glorified pipe. If you aren't getting flow 9 out of 10 times the radiator isn't the problem and the problem is elsewhere in the system. As near as I can tell "digging around" will accomplish one thing, destroying your house. Where are you located, we may know a qualified contractor in your area that can actually help you. I would start with removing the grill and looking for a air bleed. Also there is or was a damper that was controlled by the knob they may have fallen down. Before removing the grill I would score the edge of it with a box cutter blade. This would minimize the paint damage to the wall. If you do not see an air bleeder or the air flow damper mentioned above, you can buy an inspection camera with 3-4' lite flex end for about 100 dollars. This would let you find things even without grill removal by going up the bottom. There may be valves that are shut off stopping the water flow. You might see or feel these thru the bottom opening. Sneak a small camera or cell phone under the bottom and snap a few photos (especially near the ends), might tell you more without much effort. Might be able to do the same from the top. Hang on, gentlemen- is this a steam or hot-water system? I don't see an air bleed in the usual place, so it may be steam. 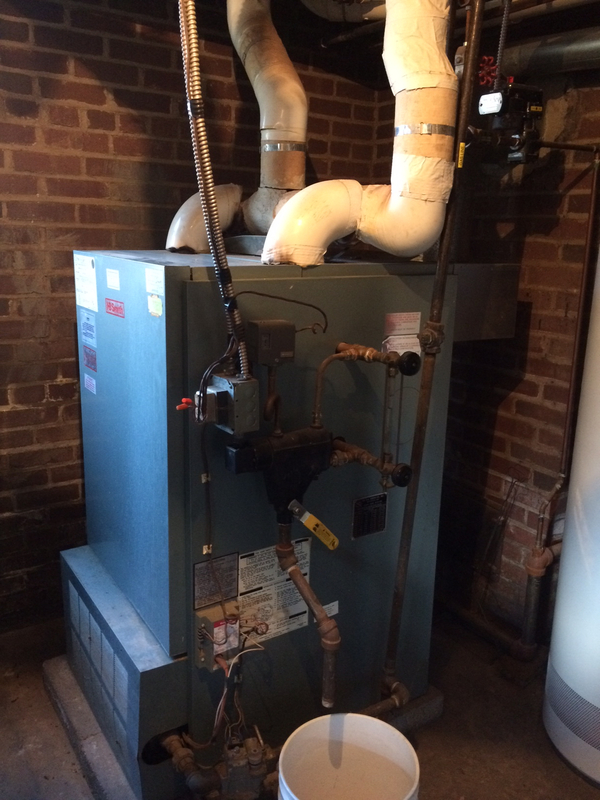 @JMSullivan , if you're not sure, can you take a pic of the boiler and post it here? 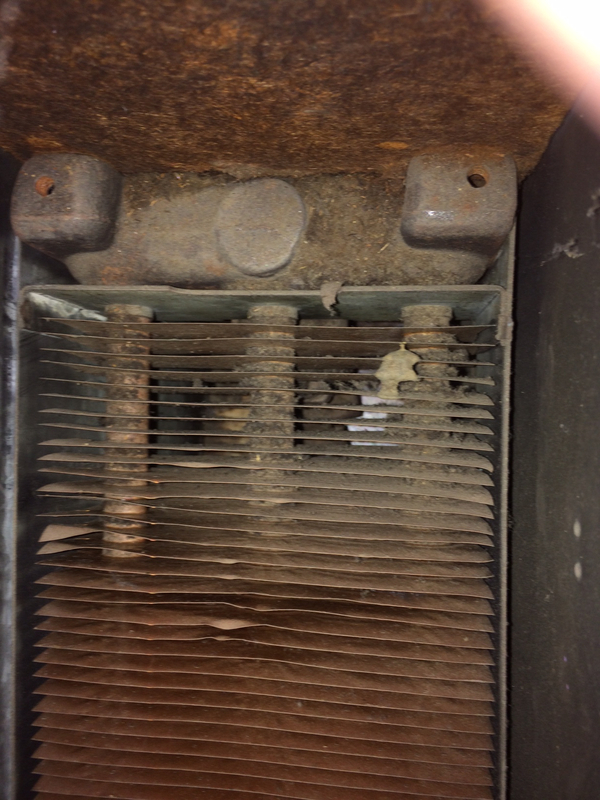 Around here, we see lots of these Trane Invisible Radiators on Vapor steam systems. 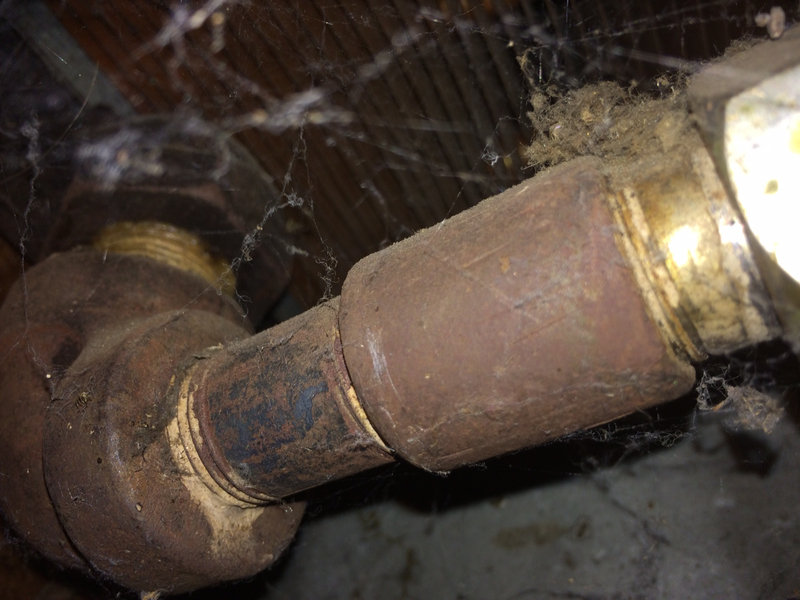 These are either Orifice systems, or there are thermostatic traps on the return connections. Based my "reading" of Dan H's books, I have determined that I have a 2-pipe steam system. When originally installed in 1935, the boiler was coal fired. It was upgraded many years ago to a gas boiler. I will take a picture of it and post soon, if that will help. Below are pictures taken of a radiator in a different room. Same type (Trane Invisible Radiator) but located in the paneled den. 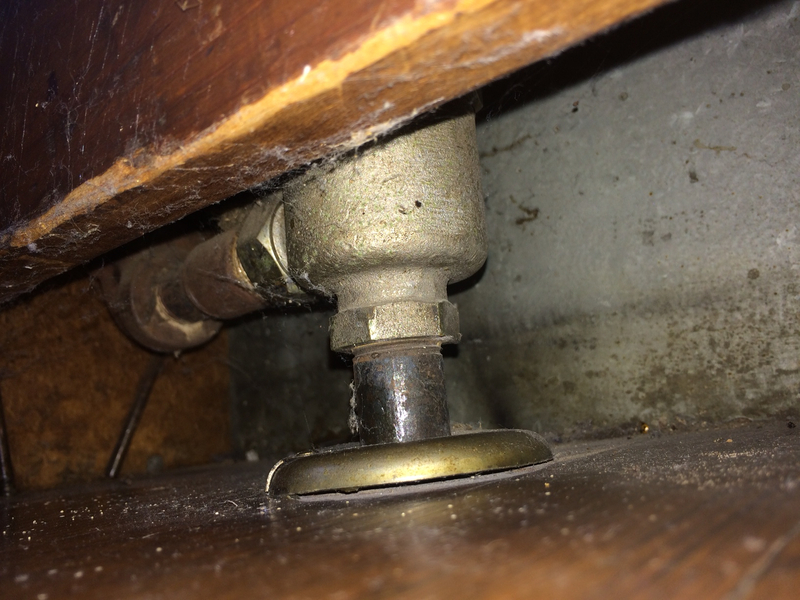 I am not sure what an Orifice or Thermostatic trap looks like - do I have one? I have tried to provide a representative example of the radiator - left side top and bottom, right side top and bottom, and outside. 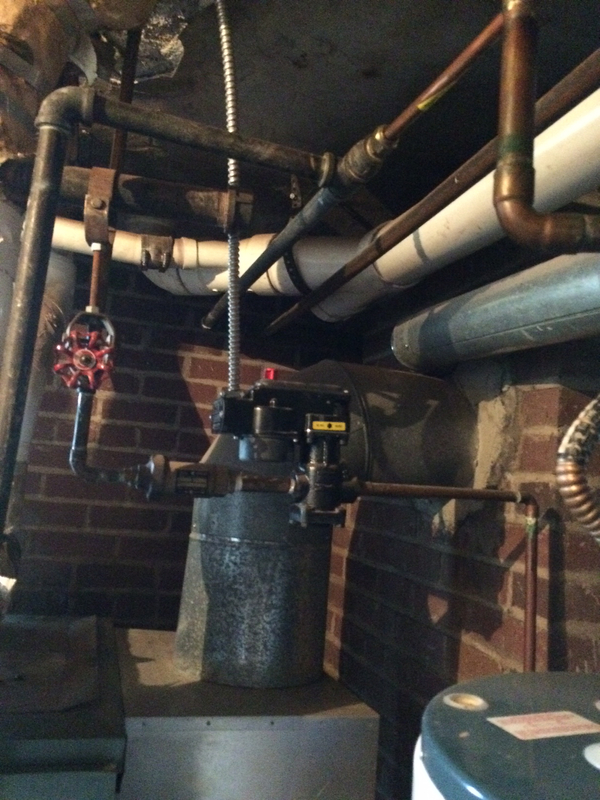 Looks like the device in the "leftside" pic is a steam trap. Is the top of that device just flat or slightly rounded, or is there a knob sticking out of it? Almost looks like a Veco trap right @Steamhead? 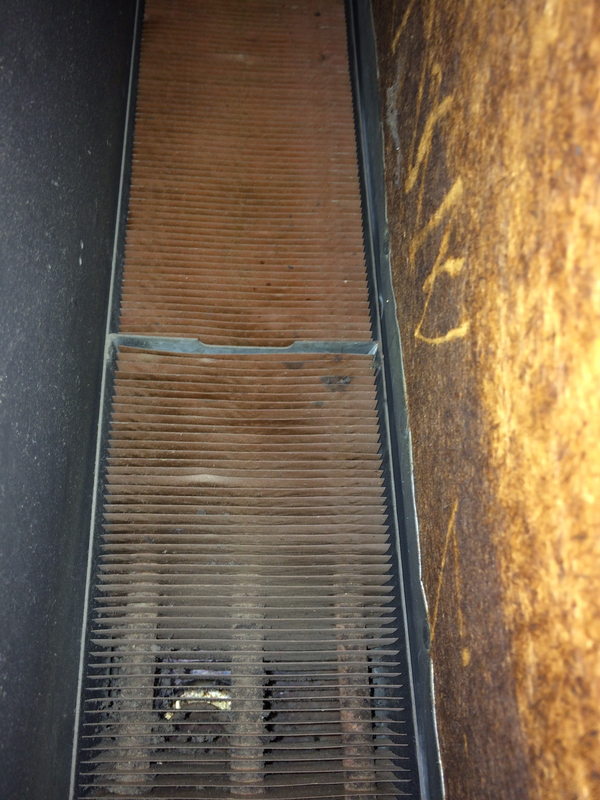 Unfortunately getting at it is the problem and the convectors need cleaning badly. The cleaning can probably be done in place. 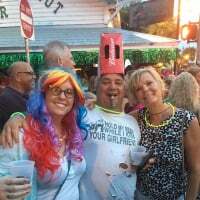 #####not sure I like my own idea!! Thanks all! One more fact I forgot to mention...some of the radiators are on the second floor and the boiler is in the basement. Therefore if I am understanding the "removal" process mentioned by EBEBRATT, I am not sure all the pipe could come out. 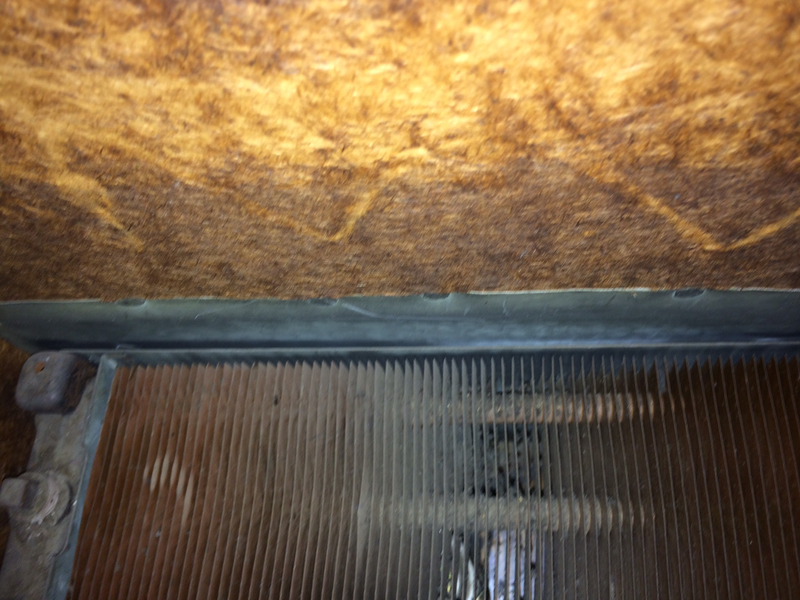 I have taken better pictures of the left top and left bottom of the radiator. I believe the trap is on the bottom, correct? To answer STEAMHEAD, I believe the "top" is flat-ish. It has a slight dome on top but the top of the dome is flat. I also noticed on the top left a "pokey up thing" Is that something important? Lastly, do I just vacuum the fins? Or is there something else I should be doing? 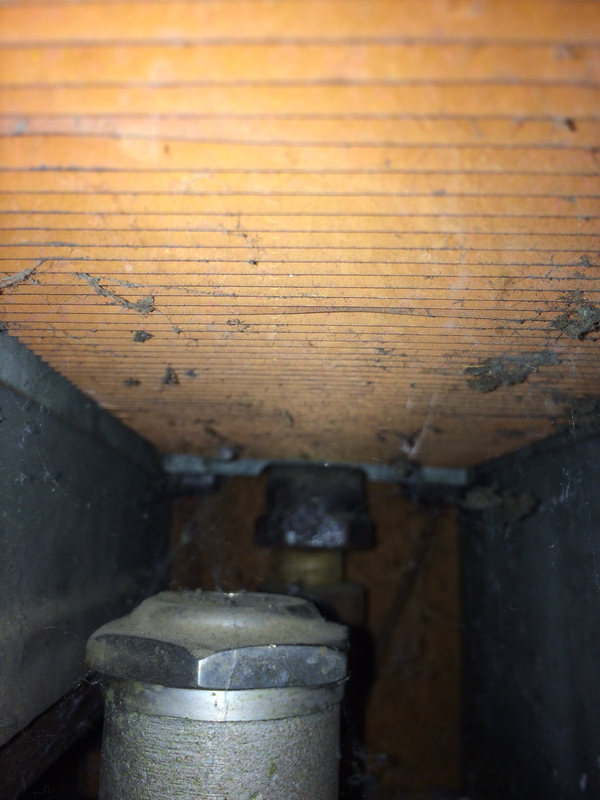 Your last two pictures, 1 is a steam trap. The other one is a pipe plug. I would use a vacuum and get out as much as possible. Use something like a hacksaw blade to poke the stuff out between the fins. If you can get them reasonably clean ok. If you need to do more a couple of shallow "cake pans" under the convector and a spray bottle with water will clean them out. A few rags and a wet dry vac will clean up what misses the pans. How about pictures of the rads that show the wall about 2' each way. An angle shot of each end. How are the inoperative radiators related in terms of location? This could be the result of one trap which, having failed open, and flooding the common return with steam, shuts the traps on the neighboring radiators. Not sure but maybe the wall opening behind the baseboard is large enough to get at the unions and remove the convector. It would make sense to allow for maintenance. I guess the only way you'll know is to remove the base shoe and baseboard. I'd take the trap out. Cutting into those walls shouldn't even be considered as an option. It's pretty obvious that trap has been changed unless it has miraculously aged differently from everything around it. Also I doubt they used a merchant coupling in 1935. I could be wrong, but looking at those pics that's how it looks to me. Get an appropriate sized offset wrench, undo the union nut. Remove the escutcheon plate for clearance, get a pipe wrench on the pipe and an appropriate sized wrench on the trap and take it out. Wouldn't be easy, but for me cutting holes wouldn't be an option ever. I find it hard to believe they didn't think about maintenance. Sometimes that requires specialty tools. I'm betting the intent was to take the unions loose from the bottom and lift the convector out by taking the vent cover off and lifting it out through that opening. 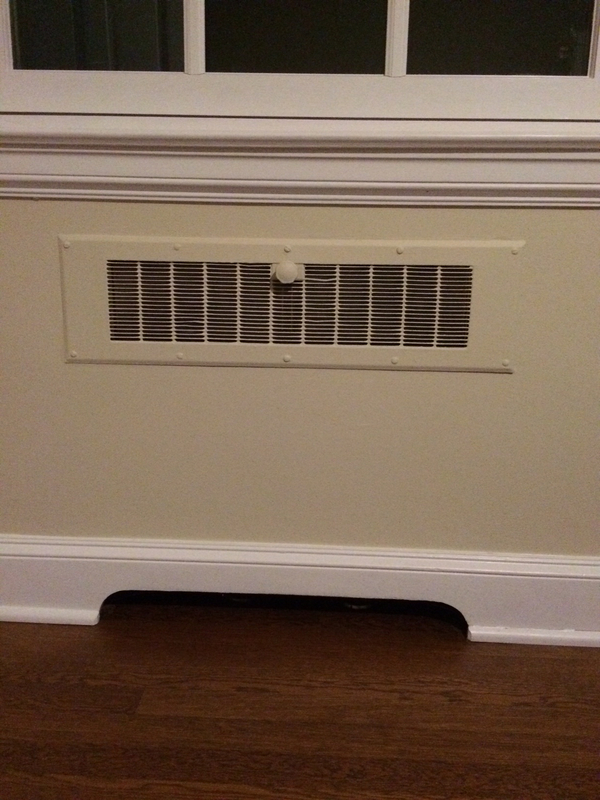 Look at the width of the border around that vent. 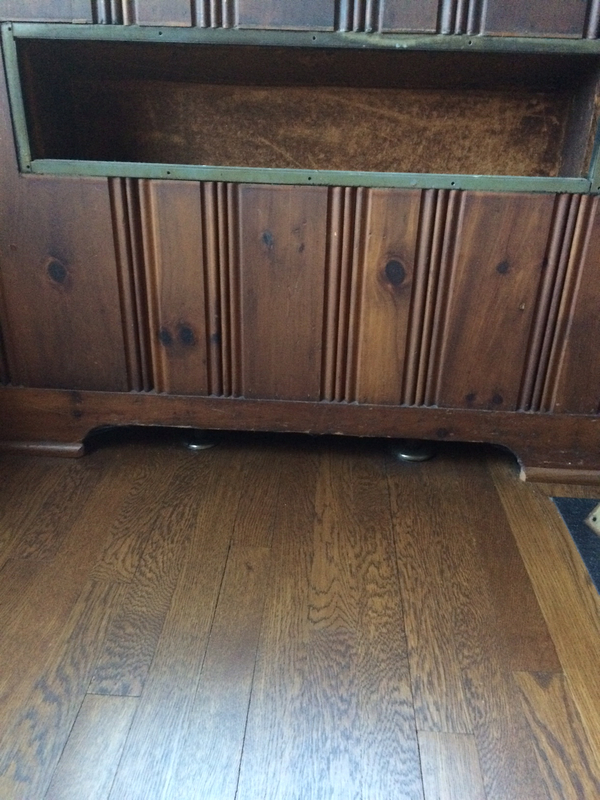 The sides are twice as wide as the top and bottom and it is wider than the opening in the baseboard. Are these completely flush with the rest of the wall or do they stick out some? The angle pictures would show that. 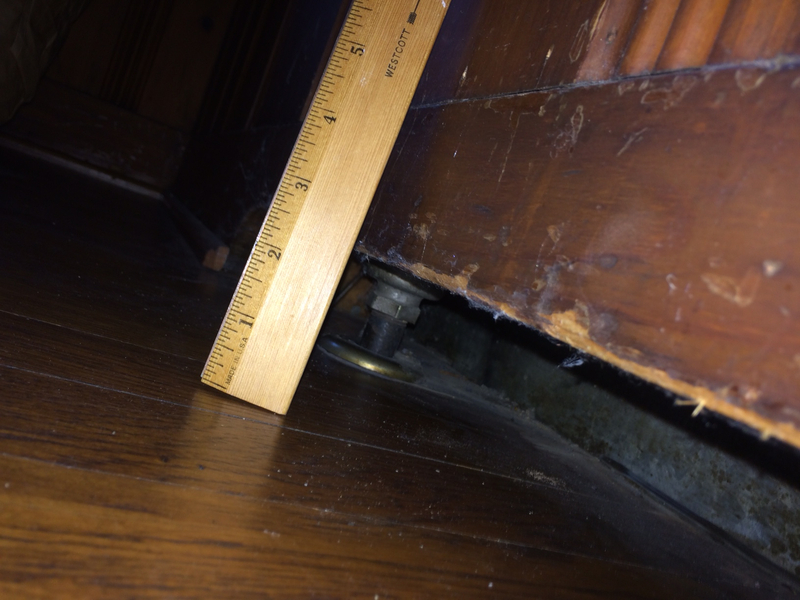 If the base/trim is just a short 3-4' length then may the intent was to carefully remove the trim to get to the unions. Thanks for your thoughts! I will try to answer all questions...starting with @nicholas bonham-carter : My house is a two-story brick georgian with a center hall. Two bedrooms (two radiators per room) on the second floor do not heat. These bedrooms are two stories above the boiler room. The center hall radiators also do not work. (1 in the second story hall and 1 in the first floor hall) The radiators furthest from the boiler work. I have attached angle pictures as well. 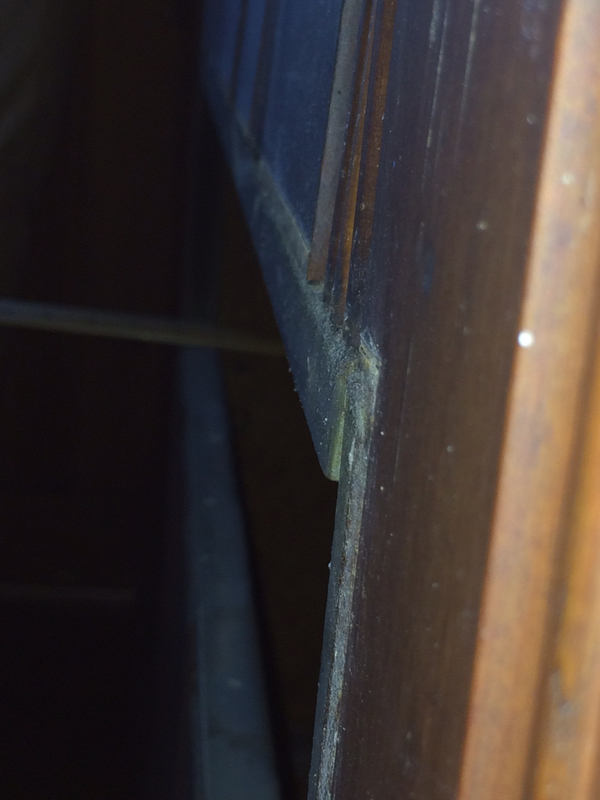 Notice, there appears to be nails that are attaching a "flashing" around the convector/fins/radiator. 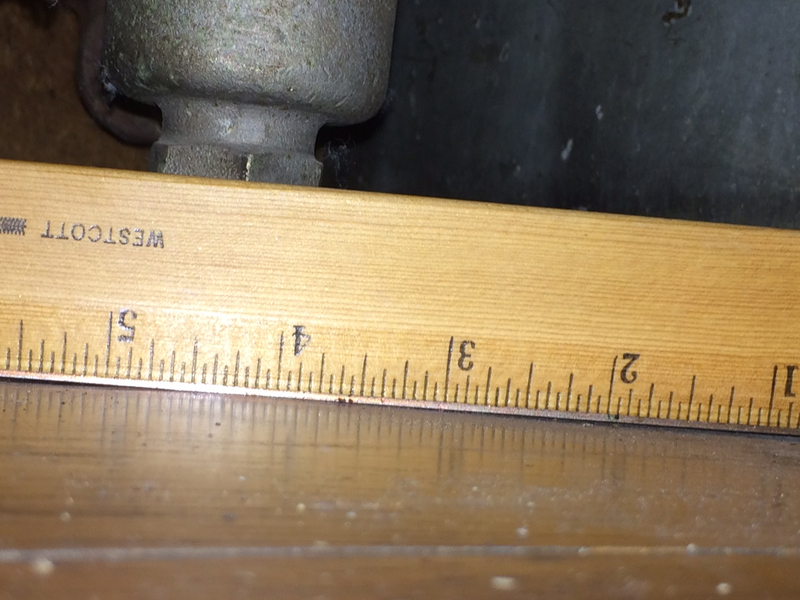 In poking the ruler around, it does not appear to have any room around this element. Therefore, I am not sure the convector/fins/radiator can be removed. @KC_Jones - I agree with you! I have been asking about specialty tools and keep getting the "eye roll"
I have also attached an "outsideangle" picture with shows everything is flush with the wall. I'm sure the flashing is attached/nailed to the walls. I'm also equally sure the convectors are not. 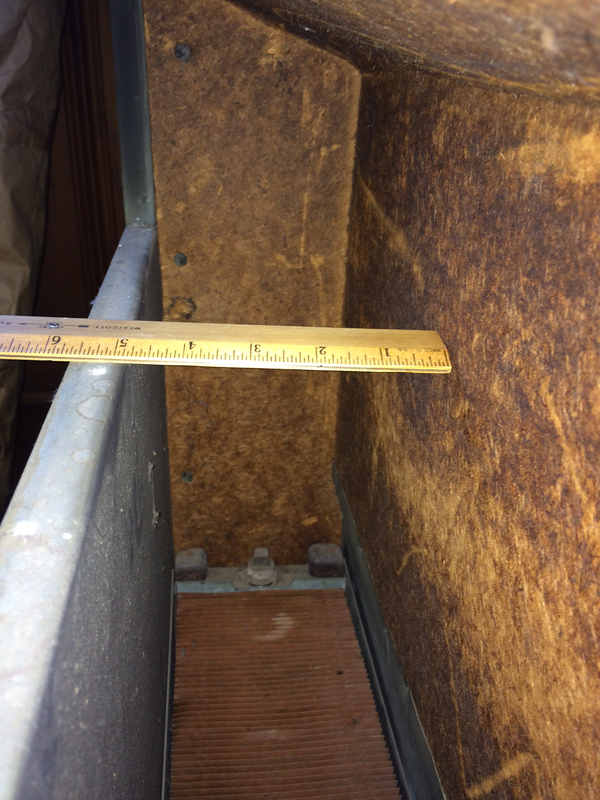 They are likely suspended in the cavity, supported by the piping. The bottom has to be open to allow air flow, so there is not even a pan there that the convector would drop into. Looks to me like you should be able to get those traps out and rebuild on a work bench. > I'd take the trap out. Cutting into those walls shouldn't even be considered as an option. It's pretty obvious that trap has been changed unless it has miraculously aged differently from everything around it. Also I doubt they used a merchant coupling in 1935. I could be wrong, but looking at those pics that's how it looks to me. > Get an appropriate sized offset wrench, undo the union nut. Remove the escutcheon plate for clearance, get a pipe wrench on the pipe and an appropriate sized wrench on the trap and take it out. > Wouldn't be easy, but for me cutting holes wouldn't be an option ever. > I find it hard to believe they didn't think about maintenance. Sometimes that requires specialty tools. If an ofsfset wrench doesn't give enough swing crow foot wrenches are also available. 1/2 drive goes up to 2 9/16, and 3/4 drive goes even bigger. Yes they are pricey but way cheaper than cutting open walls. I would look at crow foot wrenches, they go big enough and would not require opening the wall. Imperial Newton makes them up to like 6 3/4 inch. I'm betting on cutting the wall. Second dollar risked. 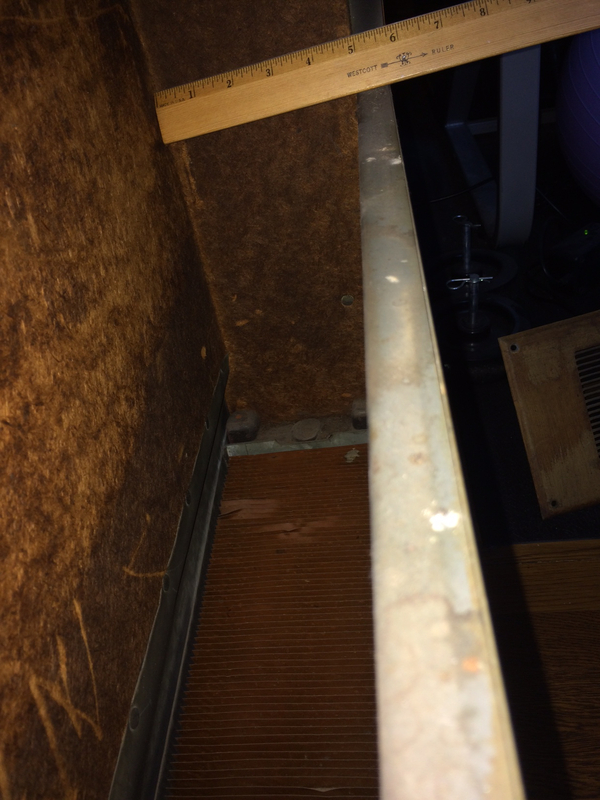 Wouldn't just removing the baseboard trim carefully....(air inlet part) get you to the trap?